Buyer will get the refund 2 to 5 working days after received the product. Item must NOT physical damaged, opened, misused, broken in installation process. Item MUST be in Original status. **INTERNATIONAL BUYERS** >International Buyer pays return postage. >We do not return the cost of international postage to buyer. ** Domestic Customers** > The buyer will be refunded only second class postage For local postage costs. If the item received damage and wrong. Le paiement immédiat de 149,97 GBP est obligatoire. All transaction by PayPal, if you don't have a PayPal account please contact us for more information. 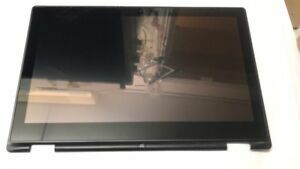 Écrans et panneaux LCD Dell pour ordinateur portable 13"